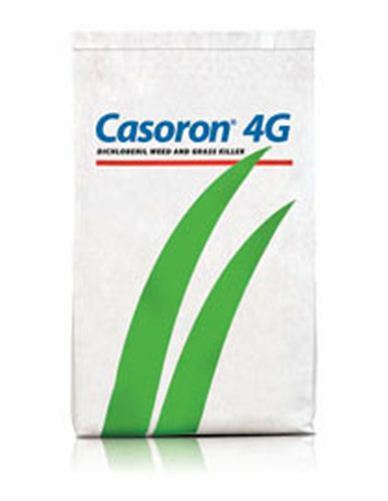 Casoron 4G granular herbicide provides pre-emergent weed control in established plantings of woody ornamentals, fruit trees, nurseries, shelterbelts, hedgerows, windbreaks, poplar plantations, grapes, saskatoons, cranberries, raspberries and high bush blueberries. It controls a wide range of broadleaved and grass weeds at seed germination and growth initiation. It is recommended that Casoron be applied when the temperature is less than 150C. REGULATIONS PROHIBIT SALES OF PESTICIDES OUTSIDE OF CANADA.